Persons who have suffered injuries from the use of a medical device, or in a train accident, may have similar claims against the company or the entity that caused injuries. Similar claims may be grouped together in a mass tort case, which significantly reduces the time and expense required to process these claims. The Chicago mass tort lawyers at Phillips Law Offices have years of experience representing clients in mass tort litigation cases. Common Legal Questions: What is a Mass Tort Lawsuit? Many clients are unfamiliar with the legal term “mass tort lawsuit,” but the overall concept is actually quite straightforward. Mass tort litigation may arise when multiple individuals file a lawsuit in an attempt to recover compensation for injuries and other damages that occur as a result of defective products such as consumer goods or medical devices. Mass tort cases may also be filed in connection with major accidents involving numerous victims, such as train accidents or plane crashes that result in a large number of similar legal claims. In such cases, instead of each individual filing a separate claim against the liable company or agency, lawyers may decide that it may be beneficial for the plaintiffs to join together in mass tort litigation. Filing a Claim: How Does a Mass Tort Lawsuit Work? What’s an MDL? Mass tort litigation has some unique aspects that are unlike other lawsuits, including class action suits. With a mass tort case, each victim or plaintiff has an attorney who files a lawsuit on their behalf. Once the courts see a large number of similar cases arising against a single defendant, they may opt to pursue the consolidation of mass tort cases into a single multi-district litigation case, also called an MDL case. As part of the MDL proceedings, the attorneys for both sides will take part in common pre-trial proceedings and discovery — an information sharing process that occurs before a trial. Since the facts are more or less the same in all of the cases, this common process helps save time as otherwise, these proceedings would have to take place individually. This would result in significantly slower progress, as some MDLs involve hundreds or even thousands of individual lawsuits. Additionally, Bellwether trials may also be conducted in connection with a mass tort MDL case. Bellwether cases are selected carefully so that they are representative of the numerous cases that have been filed. These “sample” cases will go to trial, providing both sides with useful insight as to how they will proceed. For example, if the Bellwether trials conclude in favor of the plaintiffs, then the defendant may opt to offer settlements in an attempt to resolve as many cases as possible in an attempt to avoid high jury awards and the expenses of going to trial. If some of the Bellwether trials conclude in favor of the defendant, then the plaintiffs may be more apt to accept a settlement offer instead of rolling the dice at trial. The Bellwether cases provide offer both sides with helpful insight into what strategies and approaches are apt to be effective. The MDL is beneficial to all involved because the cases tend to be resolved faster than they would if each case proceeded individually, outside of MDL proceedings. Is Mass Tort Litigation the Same as a Class Action Lawsuit? When it comes to mass tort vs. class action lawsuits, there are some key differences. Both case types involve multiple victims (plaintiffs) who have similar claims against the same defendant(s). In the case of a class action lawsuit, there is one single lawsuit, with numerous plaintiffs named, whereas in the case of mass tort cases, each plaintiff files their own lawsuit independently. In a class action suit, multiple victims are treated as one, whereas each mass tort case is resolved individually. What’s more, in the case of a class action case, typically the victims have all suffered the same (or comparable) losses. For example, all of a company’s customers may have been wrongfully overcharged by the same amount. So the plaintiffs in this type of case will have many similarities and few, if any, differences. Conversely, in a mass tort case, you’ll have the same defendants involved in multiple cases, and the victims’ cases may be quite similar, but the precise losses may differ to a larger degree. There may also be a larger number of factual differences amongst the claims in a mass tort case. For example, in a mass tort case against a pharmaceutical company, you may have numerous victims who suffered numerous ill effects after taking a prescription drug. But the precise nature, severity and impact of those ill effects may be quite different in each person’s case. How Much Does it Cost to File a Mass Tort Lawsuit? The cost of filing a mass tort case varies dramatically from person to person, as the circumstances surrounding every case are unique. It’s challenging to provide an accurate “average” figure for this type of case. For this reason, it’s best to speak with one of our mass tort attorneys in a free case evaluation, where you can discuss the basics of your case. Based upon this information, our personal injury lawyers can offer a more accurate idea of cost. Some cases are also accepted on a contingency basis, meaning that your legal fees are deducted from the judgment or settlement once the case is resolved in your favor. What are the Advantages and Benefits of Mass Tort Litigation? In mass tort litigation, there is a collective implementation of all pre-trial proceedings and discovery, like dispositions. This ensures more efficient utilization of precious time, financial and legal resources. A mass tort claim allows you to save a substantial amount of time and money because many of the pre-trial proceedings are conducted collectively. Mass tort litigation can be quite complicated. Your claim is one among a number of claims filed by plaintiffs who are usually situated across the country. That means the involvement of a number of legal jurisdictions, and this can impact the speed of the claim, as well as other factors. If you were injured by a defective product, you may be able to hold the manufacturer of the product and other entities liable in a claim. Trust your case to one of the most well-respected law firms in the Midwest. 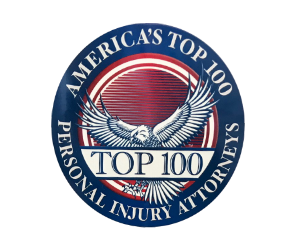 Consult with a top Chicago mass tort attorney about filing a claim by arranging a free evaluation session. For assistance filing a claim, call 312-346-4262 and speak with an experienced personal injury lawyer at Phillips Law Offices concerning your case.